A: Scale the bangle to the proportion of your body i.e. : if you have a slim frame opt for slim, dainty bangles, if you have a fuller frame opt for chunkier styles (not too chunky as you have a fuller frame). You need to be quite tall, with long arms, to wear lots of bangles. 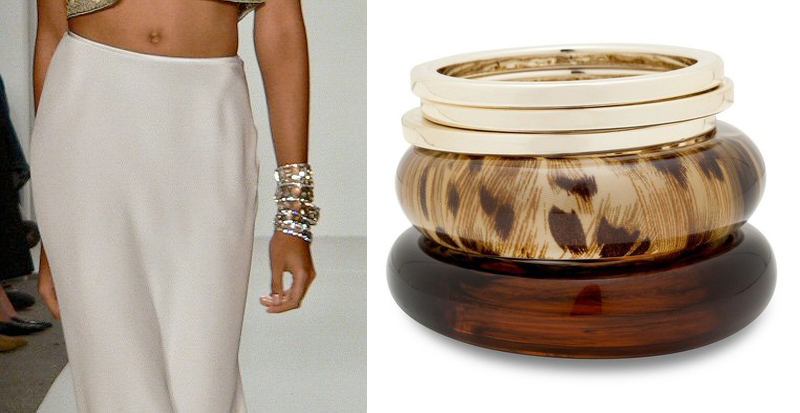 If you have short arms opt for one gorgeous bangle or a few slim bangles. View American Swiss for some stunning gold jewellery!